If you’ve ever looked at your website URL in a browser, you’ll likely see a prefix of (http://) before the (www) portion of your full address (http://www.mysite.com.) This has always been perfectly normal, but it’s something I’m seeing less and less of with many business websites no matter the size of the company. 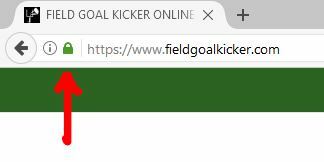 More and more, I’m starting to see business websites that contain some sort of lock icon and an extra ‘s’ in the https:// prefix within my browser. The lock will look a little different depending on the browser, but it might look some variation of the screenshot here. In fact, in October 2017, Google Chrome (Chrome 62) will begin displaying a ‘Not secure’ warning not only when users enter simple form data on an HTTP page, but also on all HTTP pages visited when in Incognito mode. 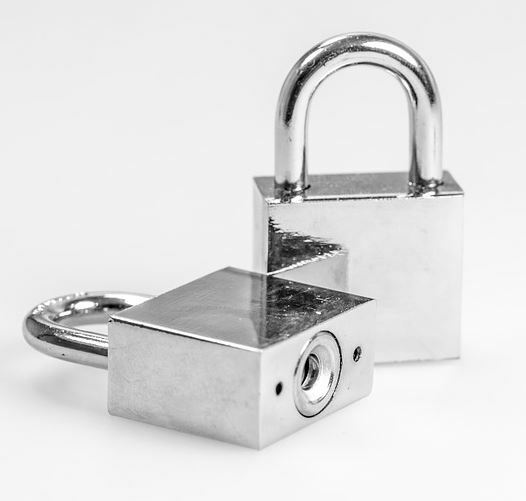 In the past, you might have only seen this little lock (or one like this visually depending on your browser) when you were checking out on an e-commerce type of website. We call this a ‘secure’ site lock icon and it shows that the transmission of credit card data between your browser and the site you are shopping on is secure simply put. However, if you are somewhat observant when browsing websites these days, you might notice many websites are all HTTPS (meaning all pages) and that they aren’t traditional e-commerce websites. Again, these are websites that don’t technically sell anything online, don’t collect credit card data online, they are often glorified brochure style websites. Why would we want to ‘secure’ an entire website and all its pages if our visitors aren’t shopping or providing personal data? You can thank Google for this shift in thinking. It makes sense for websites to be secure though, even if I’m not technically providing sensitive information (like my credit card) on a website. That is, it’s just nice to see that a site owner has made the entire experience secure for me. It just makes me feel better as a website visitor to know that a site is SSL based, that it is secure no matter what. Google thinks so too, and that’s good enough for most business site owners. What business site owner doesn’t want to be on the good side of Google? In 2014, Google posted an article on the webmaster central blog calling for ‘HTTPS everywhere’ which you can read here. They actually stated that they were encouraged by more websites adopting HTTPS, that it made sense to them to send people from Google to secure sites whenever possible. That post also revealed that Google was starting to use HTTPS as a ranking signal. So what does that mean for you as a business owner? I can tell you what it means for me as a small business website owner….my business sites are now all HTTPS. I made the change because the more I read about Google’s opinion on the matter, the more it made sense to be in the HTTPS club. I decided that although it might be beneficial for gaining certain rankings I was targeting, that wasn’t the real reason to convert my sites to HTTPS. The real reason I decided to switch was because after reading Google’s blog post linked above, it honestly made me feel more responsible as a business site owner. That’s actually a big one in my book. We’ll never know exactly how much of a ranking signal Google is actually applying for HTTPS based sites, but if it was a lightweight signal back in 2014, I have to think that it will grow over time as they indicated in the article.